volunteers that staff the center. 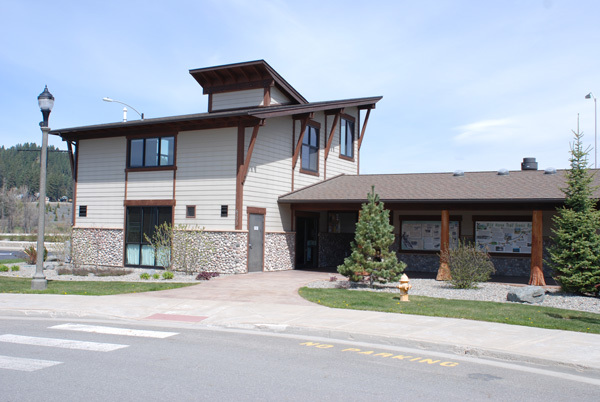 The Bonners Ferry Gateway Visitor Center opened its doors to welcome visitors in 2007. Built in partnership with the Idaho Department of Transportation, this 2,500 square foot facility is located in the City parking lot in the downtown area. It offers well maintained restrooms that are open 24 hours per day, a public meeting area, and a travel information center staffed by the Bonners Ferry Chamber of Commerce. 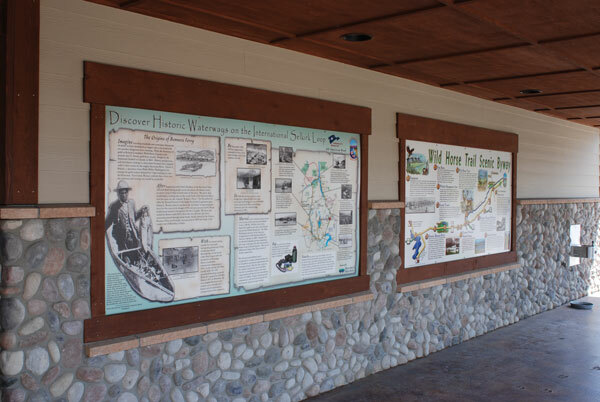 Be sure and stop by the Visitor Center to see the Selkirk Loop’s interpretive panels of area attractions, the wildlife footprints cast into the walkways, or ask a question of one of the friendly volunteers that staff the center. For more information about the travel information center, please contact the Chamber of Commerce at (208)-267-5922 or visit the Chamber of Commerce website. Questions About The Visitors Center?